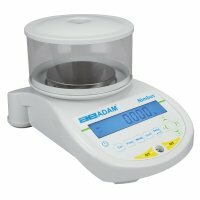 Adam's Nimbus precision balances are high-quality weighing machines that deliver a full breadth of readabilities ranging from 1mg to 0.1g. Nimbus balances offer up to 1mg resolutions for measuring small chemicals and samples. The weighing pan is chemical-resistant and the balance comes with dynamic weighing features that can be used effectively when handling chemicals. Universities often require high-precision balances for conducting a range of science experiments, as well as for weighing chemicals and compounds in chemistry. Nimbus balances feature a sturdy, compact construction for easily fitting on a lab bench surface. These balances are also portable and are ideal for moving to other work tops, labs and for conducting field work when necessary.